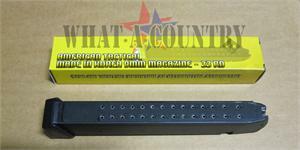 Will fit GLOCK 17, 19, 18. Magazine extends from the grip. Brand New in box. Metal feed lips. Manufactured by American Tactical Imports of S.KOREA.